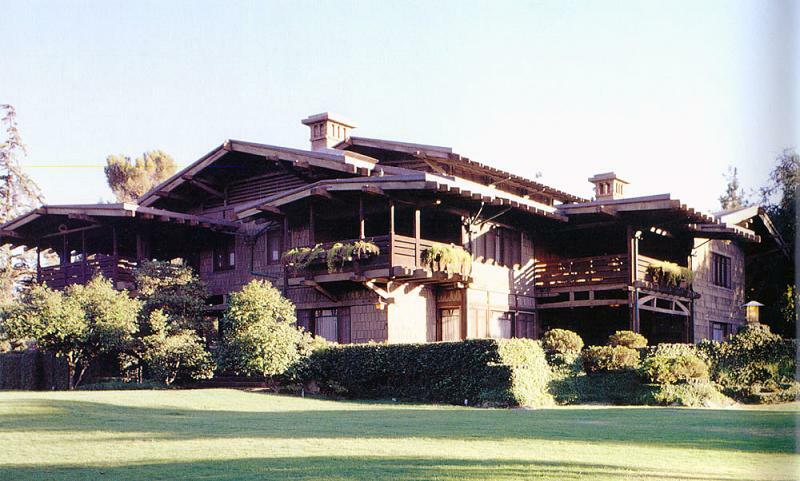 The Gamble House in Pasadena, California, is an outstanding example of American Arts and Crafts style architecture. The house and furnishings were designed by Charles and Henry Greene in 1908 for David and Mary Gamble of the Procter and Gamble Company. The house, a National Historic Landmark, is owned by the City of Pasadena and operated by the University of Southern California and is open for public tours.